Maybe it's the red stop light that annoys you because you are in a rush. But wait, look around you and you'll see that little toddler desperately prying from his mother's grasp and you're reminded of your own little brother who once held so tight to your mom and refused to let go. And you pause to think of how gentle your Mother's hands were and for once you want to be a kid again. There, now red lights have new meaning and purpose. It allowed you to escape from the monotony of life and take trips down memory lane. The light turns green and you continue to your orthodontist appointment only to arrive to hear the words, "We are thirty minutes behind schedule." Wait before you pout, your Bible is in your purse, pull it out and use this time to read it. And you read for twenty minutes and suddenly your highlighter falls on the floor and a precious curly-haired five year old runs from across the room and picks it up and hands it to you with a crooked smile. She smooths the wrinkles in your blue, vintage pencil skirt and as you whisper, "Thank you, beautiful," her emerald colored eyes remind you of your niece, and so does the softness of her hands. She makes you miss your niece, so you FaceTime your oldest sister and make silly faces with your niece. And then your name is called and you realize time passed rapidly and the delay was harmless. You beam at the office staff as they enthusiastically find new ways to bridge the gaps in your mouth. As you leave the orthodontist, you watch a young, pregnant mom struggle with her backpack to catch the bus. She misses it. You glance at your watch and even though you are off work, you have a lunch date with your best friend in an hour but who cares, today has shown you that there is beauty in all things if we only take the time to observe it. So you offer her a ride. She opens up to you about her life - she is an honor student in college, majoring in law (your dream career) and she got pregnant from her boyfriend who wants to marry her but she is apprehensive. Here is your moment, it has practically fallen in your lap. So you tell her, "I was once where you are and I made it through the tough times. I am a teacher now." "How'd you do it?" she asks. "By the grace of God," you reply. "Did you ever want to give up?" "Let me guess, God helped you through, right?" "He sure did. How'd you know?" "Because we serve the same God. I accepted Jesus as my Savior three weeks ago. And my life has changed. I'm changing. He's wrecking me, daily." You smile. What joy it is to meet someone who has a relationship with God. Who cares if she came wrapped in frumpled hair and a stiff summer day? She is His - God's daughter. You exchange numbers, hug her extremely tight and promise to keep in touch with her. You watch her fade in the wind, and as you glance down at your watch, you realize you have ten minutes to get to your lunch date. Your heart skips a beat not for the thought of being late but because God is so good. As you pull up to the restaurant, you notice your friend is not there. She's late but it is perfectly fine. When she does arrive, she is all smiles as she starts, "Let me explain." You tell her there is no need and she laughs and says, "Mrs. Impatient" is not upset?" You tell her about your day over lunch and she understands that God is doing a work in you and it started today. Parting ways with your friend, you go for a walk in the park and for the first time the homeless man who feeds the pigeons becomes someone more. You converse with him and learns his name is Nathan and realize he suffers from depression and would rather live in poverty than to inflict his family. You take his filthy hands and clasp them together and pray for him. You look into his eyes and say, "God loves you. Do you believe that?" "How would I know?" he asks. "Because he gave his only begotten son - Jesus. That is how you know." "Tell me about this Jesus," he pleads earnestly. And so for three hours, you share Christ in the middle of the park with a total stranger in need of a Savior and a friend. Before you leave, you hug him, overlooking the filth and dander. That doesn't matter when a soul is at stake. You run to a nearby convenience store and buy him a prepaid phone and input your number and tell him to promise to call because you want to help him return to humanity. With tears in your eyes you don't even remember where you parked your car, but it is okay. Everything about today was delayed but all with a purpose and something greater at stake. You touched lives and lives touched you. You connected with people you would normally ignore. God is wrecking you and you are loving every bit of it. Someone matters more than yourself. Time is simply an element and agent of what you do with it. Today, you found beauty in what is normally not beautiful. In moments that you could have exercised anger or malcontent, you chose to see the beauty in each situation. As you turn on the t.v. to watch the evening news, there is a local church hosting a revival and people are lined up to interview and you are shocked because you see the little girl from the orthodontist and when asked why she attended the revival service she says, "I have leukemia and I want a miracle and today I saw an angel at the orthodontist. She smiled at me. And her blue skirt reminded me of heaven." Next in line was the young mom. She'd make a great lawyer someday, you think. When asked why she came to the revival she says, "I believe in God and my faith has been wavering. I was on my way home to commit suicide because life has been tough but God didn't want that because out of the blue he sent an angel in a blue skirt with the prettiest smile I've ever seen to talk with me. You look down at your skirt and the tears fall more. The next person to speak was Nathan, the homeless guy. "I, too, met an angel in a blue skirt. She bought me this phone and said to call her so she could get me out this situation. What she doesn't know is I called my wife and she said I can come home. She's been praying for me and since she could not contact me she asked God to please let me talk to someone. What my angel doesn't know is I haven't talked to a soul in years because no one stopped to even talk to me. She was the first to care. For the first time I felt human. She made me feel like I mattered despite what I looked like. And she told me about Jesus. I learned about Jesus today. Jesus! Jesus! I love you and I receive you in my life!" With tears in your eyes, you grab your keys and start for the door. You run to find the church's revival. Hearing those testimonies gives you new reasons to live. You refuse to sign death's contract. Revival means to awaken to new life in Christ and with all you have left, you are determined to live again. Cancer will not kill you - at least not without a fight. You learned an invaluable lesson with time today. It is a gift and even when it is not on your side, it can be on someone else's if we stopped for a moment to access the beauty in delays and how time's grasp or lack thereof can possibly save someone's life. Besides, if a five year old can believe in miracles then surely you can since you witnessed God in a new way today. And now as you near traffic, you catch a red light. And you smile. Time is precious. Even when halted. And God is good all the time. 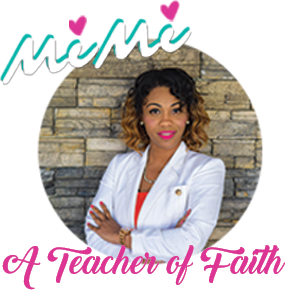 MiMi's Note: I pray you enjoyed my first piece of Christian fiction. This blog is different and to some readers it is a pleasant surprise, I pray. I write a lot but I seldomly share. And I think it is because I struggle with finding my own voice as a writer. And I shouldn't. God made me and I need to be confident in ALL the gifts He gave me. 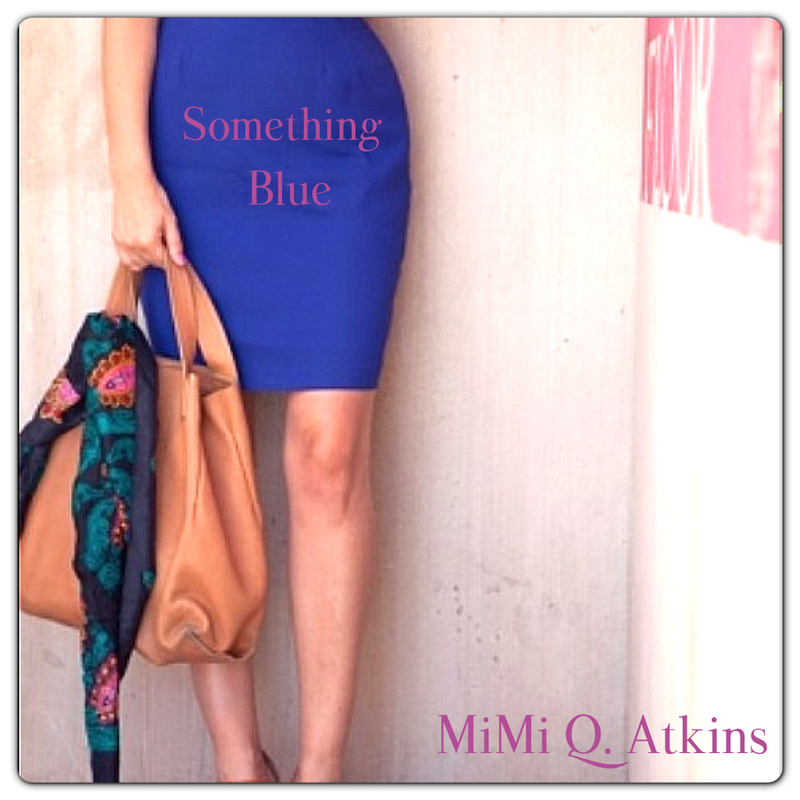 "Something Blue" is semi-autobiographical but mostly fiction. I observe. I digest. I remember. I recall. And then I write. And sometimes I share. So feel special that I invited you into my world to share the ink of my pen and my most intimate moments and thoughts. Thanks for reading, Gemima. All glory to God. Dear Lord let me be your hands and feet in this lost world and be like you Jesus. This is a great post Mimi.Today I was confirmed at church and having to read this affirmed my purpose as a Christian. I ask God that my actions mirror his and bring people closer to him for his glory only. I love you Mimi. Wow! Amazing. Thanks for reading. Do share. All glory to God. Your comment has me in tears, Luci. I love when God moves and convicts. That means we are keen to what He has to say. I pray you move as He sees fit in your life to do His will. Thanks for reading. Yay Mimi! Enjoy your gifts, Enjoy every bit of what God has made you to be. This is so beautiful :) Keep Writing!! Thank you for reading. I can only pray to use what God blessed me with to help another. I was blessed by this! Thank you! Wow! Awesome! Blessed! Inspired! Thank you! Thanks for reading, Ada. All glory to God. Wow. Thanks so much. I credit God for all I am. My gifts glorify Him and make Jesus known. That is all I want to do. My first time visiting your blog, and I love it! I only recently came to understand what it really means to be a Christian. And because writing is a talent I have and I'm trying to develop, I've been thinking a lot about Christian writing especially fiction so you can imagine my excitement on reading this! I could so relate with the note at the end of the post. God bless you and continue to use you to bless people miles apart. I'm from Ghana! Powerful! Powerful! Thank you so much for sharing! By doing so you've allowed GOD to use you just as the "Angel" in your story. Simply powerful!! Beautiful. I love reading your blog!